China is filled with websites for online store shopping, but searching for eBay like Chinese alternatives, only a few can be considered equivalent in service. Needless to say, shoppers at the official eBay version are being pampered with a money back guarantee, quality buyer protection and massive global reach, on the world’s largest marketplace to date, with operations spanning 30+ countries. And China is one of the busiest seller markets on the platform, with huge numbers of searches on eBay landing on Chinese shops selling pretty much anything. These online vendors are most popular amongst foreign buyers looking for anything from cheap to rare or specialized items that are shipped worldwide. 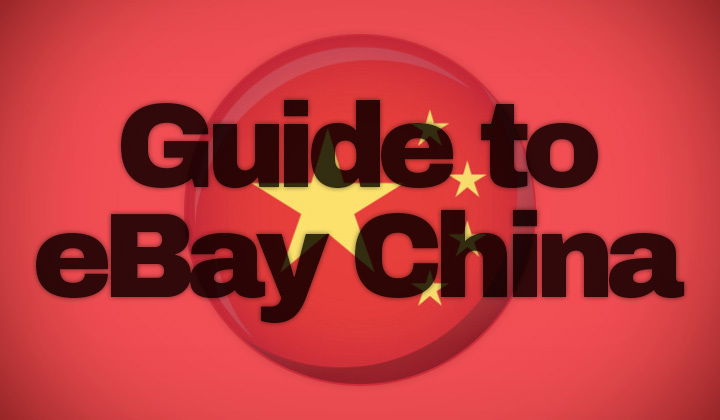 Equally the platform serves customers located in China through the global eBay website version (click here). It makes it easy to browse through and buy items that support shipping to China with the local currency in Chinese Yuan (RMB). Equivalent sites are hard to find but there is one company worth noting. The Chinese companies prominent on the online business to consumer market have often lacked the confidence of western consumers, as well as expats residing within China. This had long created a gap in the market, with buyers looking for Chinese eBay like websites and other alternatives that would match it’s service. The best alternative “AliExpress“, and most successful attempt to create an eBay equivalent buy now experience launched it’s operations in 2010. Main idea behind the online shopping store is to provide a safe, and legit system for buying goods from Chinese small to mid-size businesses. This is largely achieved through the “AliExpress Buyer Protection” policy, which is a set of rules & regulations to make sure that it is in the interest of sellers to offer authentic, quality items that are as described and safely delivered. Those residing within mainland China enjoy an additional domestic returns policy, where items can be returned without reason if left unused. And because the portal serves a Chinese speaking seller audience, you can find an even broader selection of items with even more competitive pricing than eBay, for order at the AliExpress company’s website. Which for example, has gained the status of the most online shopping store in the whole of Russia. And that’s my research, & take on alternative website version of Chinese eBay. Share your opinion on eBay China like sites and equivalent companies! Comments on online shopping, in and out of mainland welcome.